Have a friend who swears turning off the light when you leave a room actually wastes energy? Does your uncle tell you Hummers are more eco-friendly than hybrids? Whatever the eco myth, we'll help you get to the bottom of it. Submit your myth to SustainLane Greenbusters. Myth: Your computer screen uses less energy to project a black background than a white one. So you can save watts by using websites like blackle.com, which turn the screen black for Google searches. Truth: You can save energy by using a blackened screen if you’re using an old-fashioned CRT (cathode-ray tube) computer monitor—which few Americans have. Three quarters of the web jockeys on earth have LCD (liquid crystal display) monitors, and these barely see any energy benefit from a black screen, the Wall Street Journal says. To investigate Blackle -- which gives you Google searches with a black background and white print -- the newspaper asked a consulting firm to run a “Blackle versus regular Google” test on a CRT and a LCD. The color on the screen mattered very little for the LCD screen. The CRT screen with Blackle saw savings of between 5 percent and 20 percent. The folks at Blackle.com put a much more positive spin on blackouts. The website from Heap Media urges you to make Blackle your home page to save energy, “one search at a time.” “A given monitor requires more power to display a white (or light) screen than a black (or dark) screen," Blackle says. That doesn’t mean the concept doesn’t have some merit, of course. The theory is largely based on a January 2007 blog by eco-wonk Mark Ontkush called “Black Google Would Save 750 Megawatt-hours a Year.” In a follow-up post to Treehugger, Ontkush explained that a CRT monitor “uses about 74 watts to display an all white web page, but only uses 59 watts to display an all black page.” Plenty of CRTs still exist, particularly in China and Latin America, he wrote. If all the Google searchers on CRTs switched to black, he estimated it would save about $75,000 worth of energy annually. So if you have a CRT monitor — and your eyes don’t hurt reading white-on-black — going black can be green. If you don’t like Blackle, you could try other sites like Cleanblack. And if you don’t want total blackness, you can try EMERGY-C, which gives you a low-watt palette that isn’t as eye straining. There’s nothing to lose but your hues. *This eco-myth was submitted by SustainLane user Emily K. Thanks, Emily! Whether you've made your own sacks from recycled t-shirts or purchased totes that support a good cause, the reusable bag is a shopping must-have. 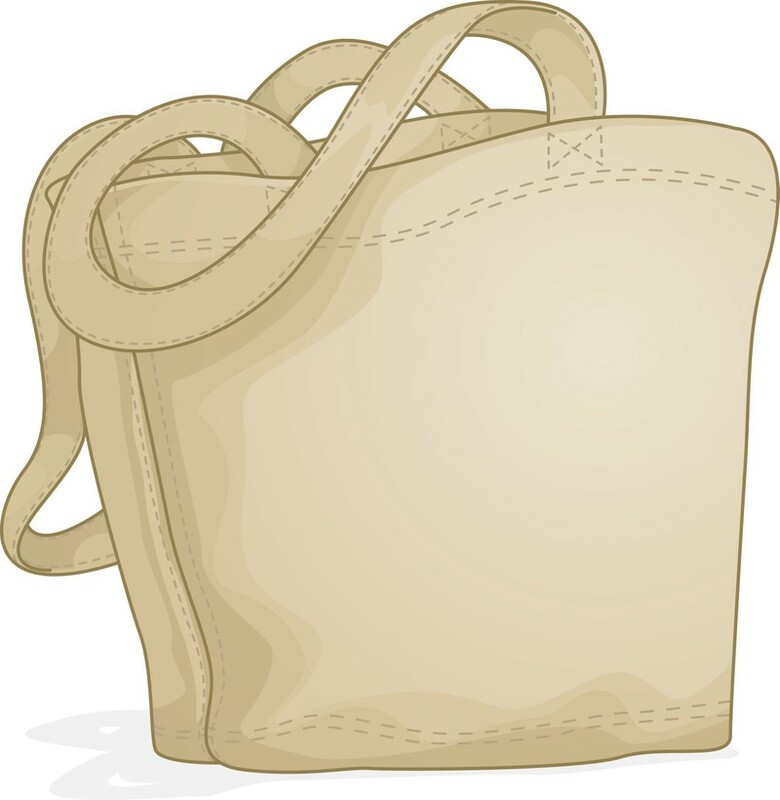 Amassing a collection of eco-friendly bags is the easy part--remembering to bring them every time you go to the store can be tricky. Be prepared for spur-of-the-moment sprees by storing extra canvas or hemp bags in your bike basket, office cubicle, and the trunk of your car. Stash a small reusable produce bag in your purse or briefcase so that if you decide to swing by the farmers' market on your lunch hour, you won't have to juggle your fruit to avoid the ol' plastic bag. Plug your electronics into a power strip, and turn that off when they're not in use. Prior to 1879, direct current (DC) electricity had been used in arc lights for outdoor lighting. In the late 1800s, Nikola Tesla pioneered the generation, transmission, and use of alternating current (AC) electricity, which can be transmitted over much greater distances than direct current. Tesla's inventions used electricity to bring indoor lighting to our homes and to power industrial machines. The sun is basically a giant ball of hydrogen and helium gases. In the sun's core, hydrogen atoms combine to form helium atoms. This process — called fusion — gives off radiant energy. This radiant energy sustains life on Earth. It gives us light and makes plants grow. It makes the wind blow and rain fall. It is stored as chemical energy in fossil fuels. Most of the energy we use today originally came from the sun's radiant energy. Hydrogen gas is so much lighter than air that it rises fast and is quickly ejected from the atmosphere. This is why hydrogen as a gas (H2) is not found by itself on Earth. It is found only in compound form with other elements. Hydrogen combined with oxygen, is water (H2O). Hydrogen combined with carbon forms different compounds, including methane (CH4), coal, and petroleum. Hydrogen is also found in all growing things — for example, biomass. It is also an abundant element in the Earth's crust. 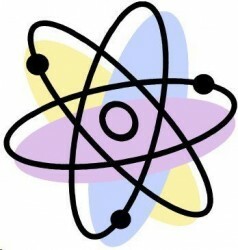 Because hydrogen doesn't exist on Earth as a gas, it must be separated from other elements. Hydrogen atoms can be separated from water, biomass, or natural gas molecules. The two most common methods for producing hydrogen are steam reforming and electrolysis (water splitting). Scientists have discovered that even some algae and bacteria give off hydrogen. The National Aeronautics and Space Administration (NASA) is the primary user of hydrogen as an energy fuel; it has used hydrogen for years in the space program. Liquid hydrogen fuel lifts NASA's space shuttles into orbit. Hydrogen batteries, called fuel cells, power the shuttle’s electrical systems. 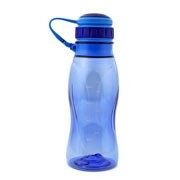 The only by-product is pure water, which the crew uses as drinking water. Because of the high cost to build fuel cells, large hydrogen power plants won't be built for a while. However, fuel cells are being used in some places as a source of emergency power, from hospitals to wilderness locations. 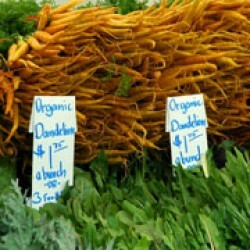 • Grow only native plants and don't use pesticides, fertilizers, or chemicals. An organic garden can supply you year after year with fresh and healthy organic food for a fraction of the price you would pay in a grocery store. While establishing an organic garden does take time and patience, there are ways to plan your green garden so that it practically takes care of itself. Composting is the decomposition of plant remains and other once-living materials to make an earthy, dark, crumbly substance that is excellent for adding to houseplants or enriching garden soil. It is the way to recycle your yard and kitchen wastes, and is a critical step in reducing the volume of garbage needlessly sent to landfills for disposal. Most produce in the US is picked 4 to 7 days before being placed on supermarket shelves, and is shipped for an average of 1500 miles before being sold. And this is when taking into account only US grown products! Those distances are substantially longer when we take into consideration produce imported from Mexico, Asia, Canada, South America, and other places. We can help now by buying locally grown food whenever possible. By doing so you'll be helping preserve the environment, and you'll be strengthening your community by investing your food dollar close to home. The typical U.S. family spends about $1,900 a year on home utility bills? Unfortunately, a large portion of that energy is wasted. And each year, electricity generated by fossil fuels for a single home puts more carbon dioxide into the air than two average cars. And as for the road, transportation accounts for 67% of all U.S. oil consumption. 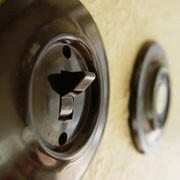 The good news is that there is a lot you can do to save energy and money at home and in your car. Start making small changes today (see sidebar). To cut your energy use up to 25%, see the Long-Term Savings Tips throughout this booklet. The key to achieving these savings in your home is a whole-house energy efficiency plan. To take a whole-house approach, view your home as an energy system with interdependent parts. For example, your heating system is not just a furnace—it’s a heat-delivery system that starts at the furnace and delivers heat throughout your home using a network of ducts. Even a top-of-the-line, energy-efficient furnace will waste a lot of fuel if the ducts, walls, attic, windows, and doors are not properly sealed and insulated. 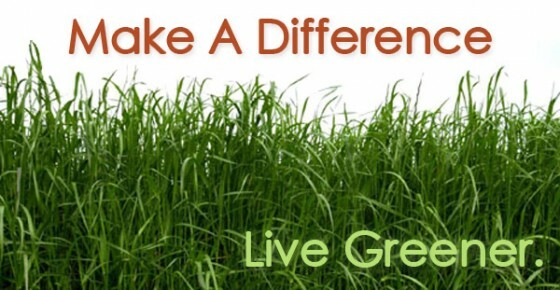 Taking a whole-house approach to saving energy ensures that dollars you invest to save energy are spent wisely. Energy-efficient improvements not only make your home more comfortable, they can yield long-term financial rewards. Reduced utility bills more than make up for the higher price of energy-efficient appliances and improvements over their lifetimes. In addition, your home could bring in a higher price when you sell. We can have a major impact on the amount of garbage produced in our world by becoming aware of how much we throw out and changing some of our habits about buying and using things. 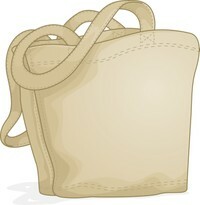 Environmentally aware consumers are producing less waste by practicing the “3 Rs:” Reduce, Reuse, Recycle. They are buying products that are less toxic or contain less packaging, using reusable containers and other reusable items, maintaining and repairing products, participating in recycling programs, and buying products made from recycled materials. Compact Fluorescent Lights (CFL) bulbs have revolutionized energy-efficient lighting. CFLs are simply miniature versions of full-sized fluorescents. They screw into standard lamp sockets, and give off light that looks just like the common incandescent bulbs - not like the fluorescent lighting we associate with factories and schools. CFL's are four times more efficient and last up to 10 times longer than incandescents. A 22 watt CFL has about the same light output as a 100 watt incandescent. 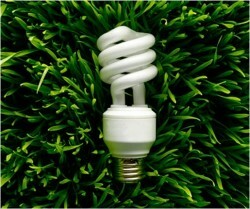 CFLs use 50 - 80% less energy than incandescents. So do yourself and the environment a favor and CHANGE THOSE BULBS.